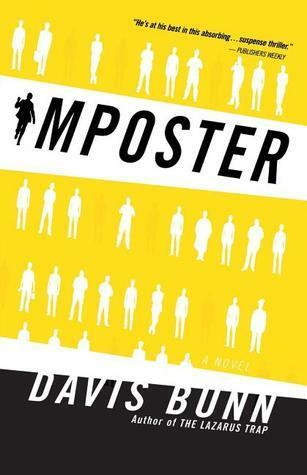 I started reading the book, Imposter today, written by Davis Bunn; published by WestBow Press; Nashville, TN and copyrighted in 2006. The title grabbed me. Then I read the fly leaf summary and felt compelled to read it. I like reading suspense novels that deal with politics and people’s motives. It’s a fast moving story with lots of interesting twists. My husband got invited to a men’s retreat this weekend with our youngest son, and I invited myself to visit my daughter and her family for the weekend. Other times I’ve stayed at home. I felt a need to see my loved ones and to take a break and rejuvenate for a bit. I brought the book with me and am actually taking time to read it. Often times, I’ll bring a book and some writing and not touch them once. I get involved with the kids and the rest of the family and it feels as if immediately the time is gone. I’ve written these verses before, but I don’t apologize for it because I feel as if in the background, I have a clock ticking, almost like the crocodile with the clock in his belly in “Peter Pan.” My clock is not so loud or insistent, but on occasion I wake up to it and realize it’s still there. Reminding me that time is not standing still. I’ve been so impressed with the brain and its capabilities to impact its owner. I come from the perspective that there is a loving God, an incredible Creator. He gave us a brain that supersedes any computer. Our brain can work for us or against us. If we firmly believe we can do something within our range of possibilities, e.g. give up alcohol, eat healthier, put stuff away after each use, stop compulsive behaviors, etc., we are able to do it. It’s called mindset. If we really want to finish our homework on a timely manner, for instance, we’ll look for resources to help us. If there are constant distractions at home, we’ll go somewhere quiet to study or get up earlier in the day when everyone else is sleeping. If need be, we’ll ask for help from those in the position to help us. If we’ll take time to think about an outcome we desire, if we’ll consider the steps needed to get there, we can do things we previously thought impossible. If we immediately decide things will never change, I can’t do this, then the brain will act on those thoughts as well. Proverbs_23:7a says, “For as he thinketh in his heart, so is he,” (KJV). If significant people in your life have spoken negative words over you – “You’re stupid,” or “You’ll never amount to anything,” or “You don’t deserve anything nice,” you can take steps to overcome these lies or any others. The Tree of Life version of the Bible in Romans 12: 2, 3 says, “Do not be conformed to this world but be transformed by the renewing of your mind, so that you may discern what is the will of God—what is good and acceptable and perfect. We are to renew our mind through reading the Scripture and through prayer and through fellowship with other people. We are not to think too highly of ourselves. Using sound judgment, we will look at ourselves as realistically as we can and thus not put ourselves down and think harsh thoughts about ourselves. Where we fall short, we can pray for forgiveness and for help to make necessary improvements. Where we see abilities we’ve ignored or downplayed we may now offer our services to those without those capabilities. I ran into a young mom in the local grocery store and she said she hates to cook. She’d rather clean the yuckiest thing in the building than put together a meal. I thought back to when I was a young mom. I liked trying new recipes and I studied soup making because it was economical and it was a comfort food in my mind. Or, ladies exchanging recipes for easy nutritious meals that kids like, possibly cooking them for a taste test and instruction at the same time. Who knows, maybe we’ll actually do that? Have you been thinking of ways to help others? I read Richard Peck’s award winning novel, The River Between Us last week. It got copyrighted in 2003, published as a Puffin book by The Penguin Group, New York, NY. His books tend to be humorous, and this one may have had a few places that brought out a smile, but the subject matter lent to a serious tone. 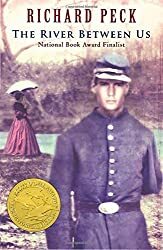 He said in an afterword that to research the Civil War could take years. So, he limited the aspects of the war to a small slice of it. This book was my least favorite of his, maybe because the families grieved over their dying sons. I’ve been grieving over a lady that passed away. Slavery and racism came up for consideration. So, even though the topics in the story need to have light shed on them, the timing could have been better for me. 1John 4:7, (ESV) Beloved, let us love one another, for love is from God, and whoever loves has been born of God and knows God. 1Jn 4:9 In this the love of God was made manifest among us, that God sent his only Son into the world, so that we might live through him. 1Jn 4:10 In this is love, not that we have loved God but that he loved us and sent his Son to be the propitiation for our sins. 1Jn 4:11 Beloved, if God so loved us, we also ought to love one another. Sometimes Christians fall short. Sometimes people say they’re Christian, but they don’t read the Bible or try to live in a manner that pleases God. To change the subject, I got a book of Davis Bunn’s from the library last week entitled The Imposter. It sounds intriguing. 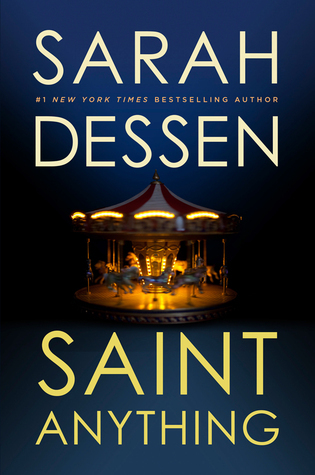 This week I read Sarah Dessen’s book, Saint Anything, copyrighted in 2015 and published by Viking, The Penguin Group; New York, NY. The main characters show up on the first few pages right in the middle of a life changing event. Anyway, reading Sarah Dessens’ books points out a fatal flaw in my fiction writing. In the past, I’ve told what was going on and didn’t leave enough mystery. With no intrigue, the reader is not going to want to bother reading on. Additionally, writing instructors often say, “Show more than tell,” so I’ve worked on that. She smiled and he yelled out, “just watch this” and he sped down the incline and took one hand off the handle. Faster now on the bumpy street with occasional rocks from the Ottinger boys appearing like shapes in the fog – suddenly. I got to go to Letchworth Park once again with my husband and friends today. I took pictures of flowers and gourds placed in interesting arrangements. I planned on downloading them to my computer tonight and then blogging about our time there. Hopefully I’ll do that on Monday, since I forgot tonight. We got home and put things away and then my daughter and her husband stopped in for a quick visit. What is it about mysteries that intrigue us? I firmly believe we’re made in the image of God. Yet, God, Who knows all doesn’t get to solve mysteries. Jesus spoke to people in parables. When the disciples asked Him what the parables meant, He explained them. God knows we like to play Hide and Seek as children. We like stories. Babies like to play Peek-A-Boo. I like watching mysteries with my husband because we’re doing something together and we both like to try and figure them out. When I read books that the Apostle Paul wrote, he talks about discovering the mysteries of God, which is available at a deeper level since Jesus came to earth. 1 Corinthians_4:1: This is how one should regard us, as servants of Christ and stewards of the mysteries of God, (ESV). After Jesus died, the Temple veil separating everyone from the Holy of Holies got torn in two. I’m not talking about a couple of layers of fabric. Some teach that the veil was as thick as the length of a man’s hand. Others teach that it was as thick as the palm of a man’s hand, either way, not able to be torn by one person. Here are the Scriptures: Matthew 27:50, (ESV) And Jesus cried out again with a loud voice and yielded up his spirit. Mat 27:51 And behold, the curtain of the temple was torn in two, from top to bottom. And the earth shook, and the rocks were split. Mat 27:53 and coming out of the tombs after his resurrection they went into the holy city and appeared to many. So, if you like to search out mysteries and you’re not convinced that Jesus Christ is the Son of God and He died for our sins so we could be washed clean of the errors of our ways so we could enter God’s presence, I invite you to search out the claims of the Bible. I encourage you to seek for God with an open mind and ask Him to show you if the Bible is true or not. Josephus was a secular historian. His writings will say if Jesus was even alive at the time of Pontius Pilate as he ruled in Jerusalem, from what I understand. I was brought up with a belief in Jesus Christ, but not with a biblical foundation, so I tested the Bible as an adult. I didn’t seek out secular assurances because after I prayed to receive Jesus as my Lord and Savior, something happened inside. Nature became more vivid to me. I felt a love and compassion for people that I never experienced before. I hungered to read the Word of God. I shared my new found discoveries with my family, sometimes too ardently. I truly became a new person inside but as a human I had bad habits to overcome and wrong thinking and behaviors to overcome with the help of God. I’m not perfect but I see some changes. Mat 16:1 And the Pharisees and Sadducees came, and to test him they asked him to show them a sign from heaven. Mat 16:3 And in the morning, ‘It will be stormy today, for the sky is red and threatening.’ You know how to interpret the appearance of the sky, but you cannot interpret the signs of the times. I spent some time on the front porch reading a Bible study and then getting into the Word with a warm breeze blowing and a black crow caw-cawing. Our trees are just beginning to change color. It doesn’t seem real that the year is three quarters done already. When I try to hear God’s still small voice lately, it seems as if He’s urging me not to be complacent, that time is short. My husband has told me in the past that we are a lot closer to Jesus’s return now than we were 2,000 years ago. Imagine that, He’s impacting the world even today. I spent a few hours purchasing and setting up a notebook according to the suggestions by Phyllis A. Whitney from her book I purchased many years ago. Guide to Fiction Writing was published in 1982 by The Writer Inc. Publishers, Boston, MA; and copyrighted in 1982 as well. She groups information together in her notebook that helps keep the novel on track without limiting the ability to add characters later on or to inhibit creativity. It’s been a lot of years since I’ve read this book, but I’ve set up more than one novel in working notebooks that I didn’t finish for one reason or another. The Young Adult novel I’ve been working on forever and finished it, per say, lacks tension and one editor suggested I change the main character to a male instead of having a female lead. I felt like I wanted to curl into a ball and roll down a slight incline until I blended with the horizon. Last week I read Davis Bunn’s advice to new writers on Goodreads’ site. He said the first novel is wonderful and you may even get it published, but it’s pretty rare. Put it aside and start a second novel. He suggested the future may allow an author to re-write the first novel, but usually they are a learning experience. Maybe that’s why after all this time I couldn’t seem to muster up the strength to re-write again. It’s changed so much from the original I can hardly recognize it. I got so excited at the library over an idea that I think the Lord planted in my heart. My husband is not thrilled about it for me because it’s going to be a difficult book to write. So, I asked him to pray for me. I called a few others and asked for prayer. Should God allow this novel to grow and get published, I am writing without a publisher pushing for a deadline. Yet this is the first time I noticed how Phyllis A. Whitney used her notebook to keep herself on a deadline. She says that if you notice in the chronology section that day after day you are jotting down an excuse for not working on your novel then you should ask yourself if you really want to write. This is my paraphrase of her advice. She’s got a list of books written and published. Quite a few of her mysteries are out there. Then there’s a photocopy of a perfectly symmetrical leaf and under that in smaller print is, “The one who calls you is faithful and he will do it.” 1 Thessalonians 5:24. It’s a beautiful reminder to me that whatever I set my hand to according to His wishes, God promises to help with it. Jesus spent three years in the public eye doing ministry and early on He called men to follow after Him as disciples. He cared about these men, but He certainly didn’t sugar coat things. When Peter speaks out, Jesus corrects him. Matthew 16:20,(ESV) Then he strictly charged the disciples to tell no one that he was the Christ. Mat 16:21 From that time Jesus began to show his disciples that he must go to Jerusalem and suffer many things from the elders and chief priests and scribes, and be killed, and on the third day be raised. Mat 16:24 Then Jesus told his disciples, “If anyone would come after me, let him deny himself and take up his cross and follow me. Mat 16:25 For whoever would save his life will lose it, but whoever loses his life for my sake will find it. Mat 16:26 For what will it profit a man if he gains the whole world and forfeits his soul? Or what shall a man give in return for his soul? I remember many years ago when my husband worked for a company, we attended a conference. We met up with someone who used to work for the company, but now they hired out to help someone with the same business many states away. When they finished helping the owner of the business he was going to give them their own business as a thank you for getting his enterprise on the right track. I didn’t get a leading either way. So, I let it go. After that I prayed for them. I still pray for them, because I have no idea what their relationship with God is. I pray when they come to mind. It’s not often, but I trust God to remind me if they need a current prayer and I count on Him answering prayers that I’ve forgotten about. I’ve seen Him do that in my life. The town I live in has some nice features that I heard about in the 1990’s. I prayed that if we should ever move, I’d like to live here. I totally forgot about it. Then ten years or more later, we got the opportunity to pastor a church here. I only remembered my prayer a few years ago. God amazes me. Sometimes I wonder if I pray something because He wants that for me, or if I pray and then He graciously answers. I’ve had so many wonderful blessings from God over all these years. I’ve found He’s incredibly trustworthy, even if I don’t see it at first. In other words, I don’t always get my way. I praise God for that. I’ve thanked Him for not answering certain prayers with a yes when at the time I was sure I wanted that yes. Then something would come to my attention and I’d understand that a yes would have been painful. I’ve been asking God for wisdom because Proverbs three talks about all the benefits of wisdom. Solomon wrote much of Proverbs and he was supposed to have been the wisest man ever. As God answers that prayer, which He tells us in James 1:5, (ESV): “If any of you lacks wisdom, let him ask God, who gives generously to all without reproach, and it will be given him,” I know that He wants to answer it because it tells me to ask in the Word. The next verse does remind the readers to ask in faith and without doubt. I’ve been thinking if God supplies me with His wisdom, then I’ll know whether the Scripture about being careful not to lose my soul because of gaining the world is for me alone or for me to share with my friends. Jesus spoke the truth in love. Even when He spoke forcefully to the Pharisees about not being hypocrites, He was livid that they were taking their positions of authority and hurting people that lived under their rules. Some of them became His followers.